hung gar | Pleasant's Personal Blog! Origins of Kung Fu – The Intricate Reality! “Kung fu” or “Wushu” is one of the most lethal methods of unarmed combat in existence. The origin of this incredible martial art is poorly recorded and often subject to many debates especially by scholars studying the Indian arts who claim inaccurately that it is a direct descendant of the South Indian martial art Kalaripayattu. I feel it is a shame that despite the advent of the information age, people still entertain inaccurate notions about kung fu and its origins. In this post, I would like to debunk the belief that kung fu came from kalaripayattu, especially the accounts pertaining to Bodhidharma (or Bodhidharman if you prefer) and his contributions to the Shaolin monastry based on all available information. I request the reader to read the article completely before making comments. I was stimulated into writing this because recently I happened to watch a two-part video in YouTube titled “Birthplace of Kung fu: China? Wrong! 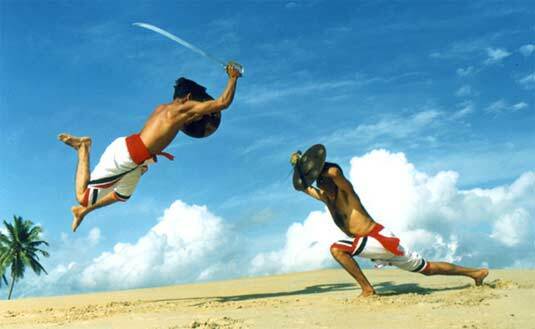 Guess Again!” that attributes kalaripayattu as the mother of all modern fighting arts. When I viewed these videos, I found many logical inconsistencies and historical anomalies. You can view those videos here and here. In order to counter the hypothesis that kung fu originated in India than in mainland China, we need a thorough understanding of what kung fu is, how the art originated and flourished and its various techniques and philosophies. I will give a brief account on all these aspects and then move on to attacking this inaccurately expressed theory. The video shows practitioners of Contemporary Wushu and Kalari performing a few movements which according to the creator of the video, are similar. However, those few movements portrayed probably are the only forms of resemblance to wushu has to Kalaripayattu. Another resemblance cited in many websites is the “eighteen hands of Buddha” and the “eighteen arms of wushu” which is claimed to have been derived from the “eighteen techniques” or “pathinettu adavu” of Kalaripayattu. The story originated probably with the knowledge that Bodhidharma, an Indian monk traveled to Northern China in the 6th century AD, where he established the earliest form of Zen Buddhism in the Shaolin Monastery. This combined with the fact that Shaolin has been a famous branch of Chinese Wushu led people to believe that Bodhidharma had experience in Kalaripayattu which he taught the monks of Shaolin thereby giving birth to the Chinese martial arts as we know today. This theory led people to analyze Shaolin systems and compare the movements with kalaripayattu. But those comparisons are often skewed and inaccurate. Besides, resemblance, if at all any, is not proof of origin since it is poorly recorded whether Bodhidharma had any sort of martial arts training at all. Hence it is not clear whether he introduced martial arts to Shaolin or someone else did after him. Even if we buy into the premise that Bodhidharma indeed taught Kalaripayattu to the monks of Shaolin, it still cannot be attributed as the mother of all modern martial arts, especially Chinese wushu. We know this by looking at the evolution of the art and its various styles which not only pertains to just Shaolin (as we shall see later) but also spread throughout mainland China. Kung fu, also known as Gong fu or Gung fu is a generic term used to refer to the many styles of Chinese infighting though the original meaning of this word is unrelated to martial arts and refers to any type of skill achieved through hard work and practice. 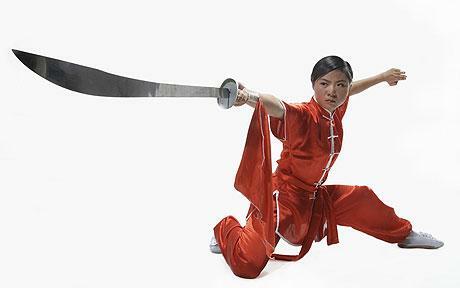 The Chinese use the term “Wushu” which literally translates to “war art” to describe martial arts. The term kung fu is a compound word with two components viz “kung” which means “achievement” or “merit” and “fu” which means “man”. Hence combined, it means an “adept man” or “human achievement”. “Kung fu wushu” thus would mean “a man adept in martial arts”. It was not until the 20th century that the term “kung fu” started slowly replacing “wushu” to describe the fighting arts of China. In this article, both kung fu and wushu are terms used interchangeably since they are basically the same thing (please do not confuse with Contemporary Wushu, which is a sports variety of the traditional systems developed for athletic purposes). 1. 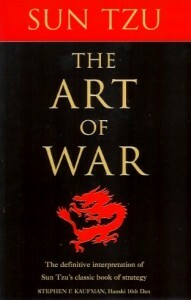 Based on “families” or “jia”, “sects” or “pài” and “schools” or “mén” of martial arts. These styles flourished in closed groups or families and were passed on from one generation to the next. Examples are Choi Gar, Hung Gar, Lau Gar and Mok Gar. 2. Based on whether it is a mimic boxing or not which means whether the style has adapted the movements of a bird, beast or an insect or arachnid. Such styles are influenced by movements of birds like eagle, peacock and crane, animals like tiger, snake, monkey, leopard, elephant, horse and fox or insects and arachnids like the praying mantis and scorpion. 3. Based on what type of philosophy the styles follow. Almost all Chinese fighting systems have a spiritual aspect influenced by philosophies like Confucianism, Taoism and Zen in addition to various religions, myths and legends. Tai Chi Chuan, Ba Gua and Liuhebafa are Taoist while Drunken Boxing, Wing Chun, White Crane, Monkey, Eagle Claw and Praying Mantis are Buddhist. There are also Muslim styles like Tan Tui, Baijiquan, Zhaquan, Qishiquan, Piguaquan and Huihui Shiba Zhou. 4. 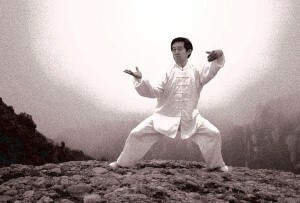 Based on how the manipulation of internal energy or “qi” called “qi gong” takes place, the styles are classified as internal or “nèijiaquán” and as external or “wàijiaquán“. Tai Chi Chuan, Ba Gua, Xing Yi, Liuhebafa and Yiquan are examples of internal systems while almost all others can be classified as external. Styles like Wing Chun, White Crane etc fall midway because they include aspects from both extremes. 5. Based on the geographical location in China, the styles originated. Styles are labeled as northern or “beiquán“(examples are Changquan, Tai Chi Chuan, Northern Praying Mantis and Baijiquan) and southern or “nánquán” ( examples are Hung Gar, Wing Chun, White Crane, Choi Li Fut and Dragon). We need to pay particular attention to the concept of mimic boxing here because there is an assumption that the concept of mimicking animals in fighting came from Kalaripayattu. That is also far from the truth because the animal concepts taught in Kalaripayattu speaks only about certain postures, jumps etc. The animal systems in Chinese martial arts are much more advanced since they mimic the animals and adapt from it in highly refined manners which includes fist positions, stances, footwork, shouting etc. 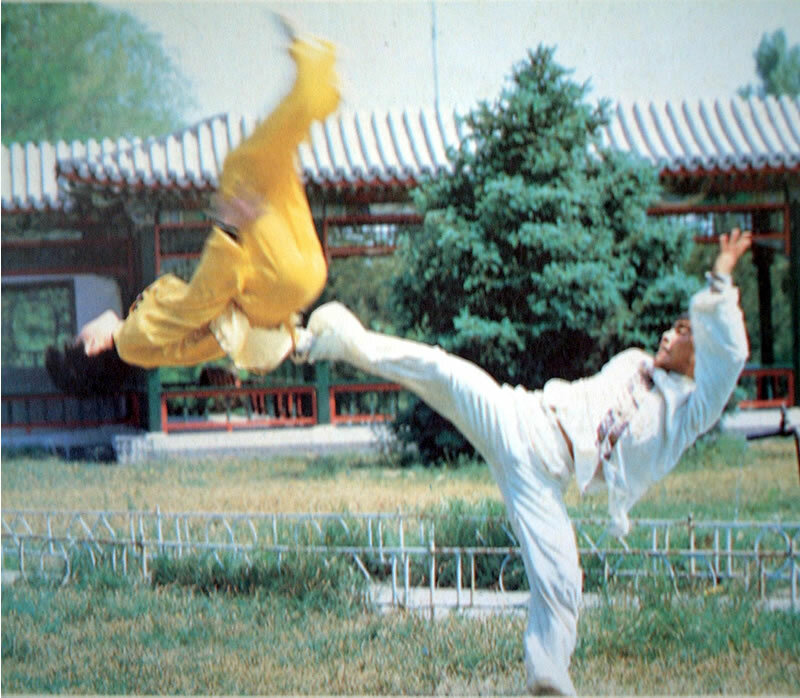 In Chinese wushu, the practitioner must temporarily transform himself into the animal while practising and the “dim mak” or pressure point attack is performed so as to mimic the effect of the said animal’s attack. For instance, within the snake style itself there is cobra and viper systems which affects the opponent in different ways just as the bites of these two snakes affect their victims. Further, the concept of birds, insects etc are unique to Chinese fighting systems and have no relation whatsoever to any Indian fighting system. In addition to that, there are weapon systems unique to these animal styles like the monkey staff and the straight sword and spear in snake style. Apart from all these, the Chinese Dragon style kung fu is a highly unique animal kung fu style totally based on the philosophies and myths pertaining to the mythical and legendary Chinese Dragon found in folklores. Like any other martial art, wushu evolved because of the need for self defense, hunting and military training. All these requirements created unique styles of hand to hand as well as weapons techniques for soldiers, imperial guards, merchants etc. Chinese legends attribute the origin of wushu during the oldest “Xia Dynasty” over 4000 years ago when the Yellow Emperor Huangdi who according to legends reigned from 2697 to 2597 BCE created the earliest fighting systems in China. The Chinese describe him as a famous general who wrote lengthy treatises on medicine, astrology and martial arts before becoming the ruler of China. Another legendary figure during the same period was Chi You who is credited as the creator of “jiao di“, which is thought to be the predecessor of the modern Chinese Wrestling. According to Chinese Mythology, he was a tribal leader and tyrant who fought against the then future Yellow Emperor during the Three Sovereigns and Five Emperors era. The best examples of ancient Chinese martial arts practiced before the arrival of Bodhidharma are “Shoubó“, practiced during the Shang dynasty (1766–1066 BCE) and “Xiang Bo” (similar to modern Sanda), practiced from the 7th century BCE. It was in 509 BCE that Confucius suggested Duke Ding of Lu that people should practice martial arts alongside literary arts thereby beginning an era of martial arts where laypeople outside the military and religious sects started practicing them. The “Classics of Rites” written in the 1st century BCE describe a combat wrestling system called “juélì” or “jiaolì” which used strikes, throws, joint manipulation and pressure point attacks. During the Qin Dynasty (221–207 BCE), Jiao Di became a sport. The Han History Bibliographies have accurately recorded on the distinction between no-holds barred weaponless fighting called shoubó, for which “how-to” manuals were written and sportive wrestling, then known as juélì or jiaolì during the Former Han (206 BCE – 8 CE) period. Further, information on wrestling can also be found in the Shi Jì, Records of the Grand Historian, written by Sima Qian (ca. 100 BCE). The theory of hand to hand combat that includes integration of the concepts of “hard” and “soft” techniques have been expounded in the story of the “Maiden of Yue in the Spring” and “Autumn Annals of Wu and Yue” written during 5th century BCE. The Tang Dynasty poet Li Bai has written accounts of sword dances. During the Song and Yuan dynasties, contests of an art called “xiangpu” were sponsored by the imperial courts and by the Ming and Qing dynasties, the modern concepts of wushu were fully developed. The Chinese philosophical texts have extensive accounts on the martial arts. For instance, in the “Passages in Zhuangzi“, a Taoist text written by the eponymous author Zhuangzi who is supposed to have lived in the 4th century BC, describes psychology and practice of martial arts. Another Taoist text, “Tao Te Ching“, written by Lao Tzu, the founder of Taoism contains several principles applicable in martial arts, especially in the internal systems. 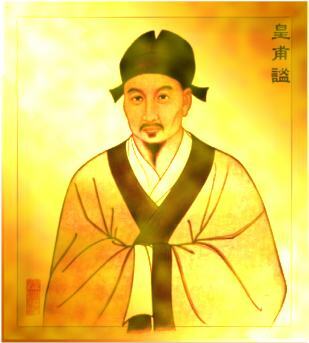 In the classic Confucian text “Zhou Li“, archery and charioting were an integral part of the “six arts” or “liu yi” which also included music, rites, calligraphy and mathematics during the Zhou Dynasty (1122–256 BC). 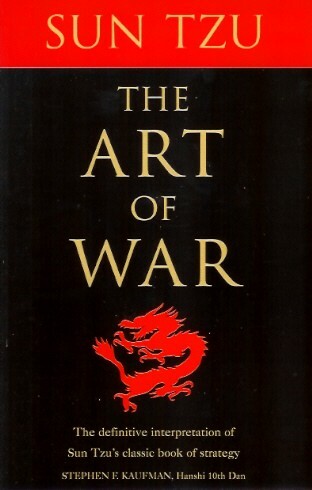 The “Art of War“, written during the 6th century BC by Sun Tzu deals directly with ideas on military warfare and martial arts. These examples demonstrate how wushu changed with the evolving society over time and acquired a philosophical basis. many practitioners of Taoism used to perform a set of physical exercises similar to today’s qigong called “Dao Yin” as early as 500 BC which many believe is the predecessor of Tai Chi Chuan. The “Han Shu“, written during the Former Han Dynasty by Pan Ku included “Six Chapters of Hand Fighting” in the years between AD 39 and AD 92. Noted physician Hua Tuo composed the “Five Animals Play” which included the movements of tiger, deer, monkey, bear, and bird around 220 BC. 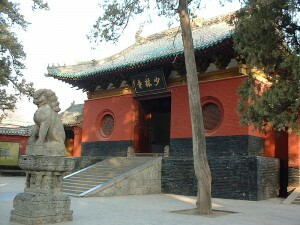 The role of Shaolin Temple in influencing the development of Chinese martial arts happened much later in the history of China. The oldest evidence of the participation of Shaolin in combat has been recorded in 728 AD which describes two incidents in which defense of the monastry took place from bandits around 610 AD and the defeat of Wang Shichong at the Battle of Hulao in 621 AD. There are no documented evidence of Shaolin’s participation in combat from the 8th to the 15th centuries. However, from the 16th century onwards, the Shaolin system flourished to epic proportions when it became an integral part of monastic life of the monks. The theory also revolves around just one Shaolin temple in Henan province when in fact there are many such temples in Fujian, Omeishan etc teaching and practising different forms of wushu. Thus, it is very clear and evident that martial arts were well established in China centuries before the arrival of Bodhidharma or the construction of the Shaolin temple. Almost all of the philosophical as well as technical aspects of Chinese Martial arts were already well developed before Bodhidharma or Buddhism itself (which arrived in China between only 221 – 206 BCE). It is also logically fallacious to assume that Bodhidharma had introduced martial arts to China. Because assuming that would mean the warriors of China did not have a fighting system for 2500 years and they waited for Bodhidharma to come and teach them kalaripayattu in the 6th century. I am in no way trying to demean the contributions of Bodhidharma or the art of kalaripayattu. However, based on historic and technical evidence, it is clear that India is not the birthplace of kung fu. Both kalaripayattu and kung fu are two great martial arts that developed in two separate cultures that have more differences than similarities. A detailed analysis of each system will reveal staggering differences between the execution of techniques practised in them. Even if we accept the theory that Chinese martial arts came from kalaripayattu, it is still not going to make a difference since the art has undergone over forty centuries of refinement making it one of the most advanced, most in-depth and most scientific methods of combat in the world. Anyone who has a counter opinion is welcome to post their comments or email me. Thanks for your time.